Taylored Expressions Die Focus: Cupid's Arrows! I stamped the image with Memento Tuxedo Black and colored with Copics. I cut it out with Oval Nestabilities and popped it up over some TE Formula for Love dp. 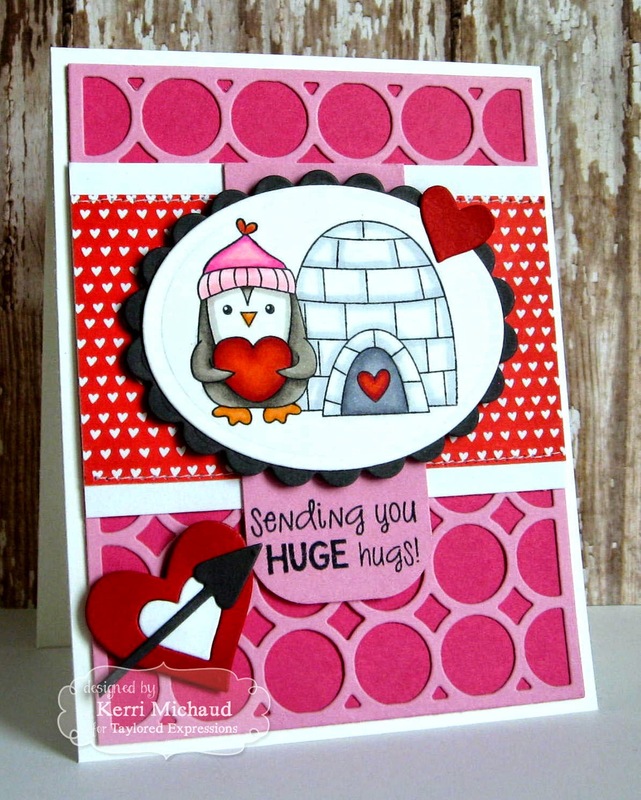 The bg was cut out of TE Strawberry Milkshake cs using the Spotted Cutting Plate and layered over some Lollipop cs. Finally, I added the hearts that I cut out of Cherry Pop and Sugar Cube cs using the Cupid's Arrows Dies and the arrow was cut out of Poppy Seed cs. The layout I used is the Deconstructed Sketch #181. I'm off to do more housecleaning-fun! Thanks for stopping by and have a very Merry Christmas!!! This just screams fun Kerri. Love it. Merry Christmas.